It’s always exciting to see a new business open up in our city and especially during times of contention. A new business opening adds a new spark to a community and an excitement to those that are opening up their dream to the world. Chestermere Law LLP is a full-service law firm that has recently opened its doors in the City of Chestermere. Founded and managed by Chestermere lawyers who also call Chestermere home, they offer a complete range of legal services for individuals, families and their businesses. Their main practice areas are Real Estate, Wills & Estates, Corporate/Commercial, and Family Law. Their team of professional lawyers practice in a variety of areas and pride themselves of their reputation for accessibility, ethics and quality client service. “Chestermere Law LLP always has the best interests of our clients as the number one priority, with the specific goal of finding the most cost-effective and efficient solutions for their legal challenges”. But, just because their office is located in Chestermere, they also have the luxury of utilizing office space in Calgary to provide additional convenience for their clients who reside in our neighbour to the west. Their team consists of Andrew Keirstead, Erin Leslie and Syra Dhaliwal who all say that since opening up in January, the community has been very welcoming which makes them very excited to serve the community. 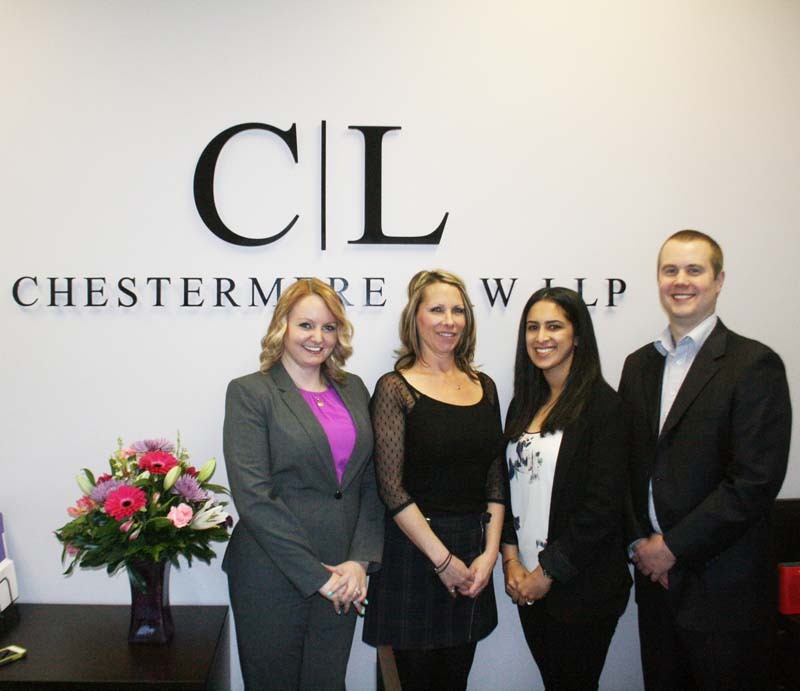 On March 3, 2016, Chestermere Law LLP held an open house where the office was full of friends, family, neighbouring business and community members who came out to welcome them and learn about the legal services they have to offer. Chestermere Law LLP is located at 6, 140 East Chestermere Drive and if you are in need of their services, you can contact them at 587-470-7373.